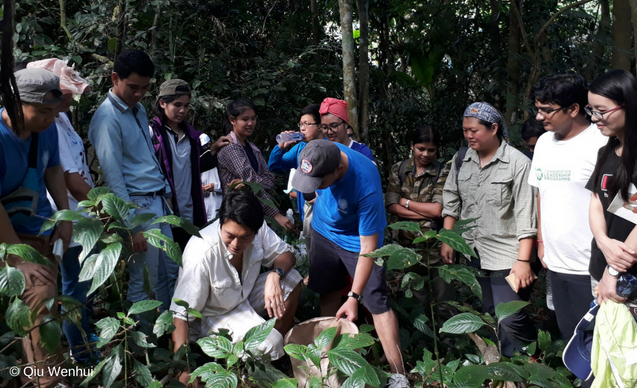 Pramod Kumar Yadav, recipient of a 2015 CLP Team Award, recounts how a recent CLP-funded training opportunity in China helped him to broaden his conservation network and improve his technical skills. I am always grateful to the Conservation Leadership Programme (CLP) for its continuous support and mentorship, which are contributing to the implementation of our caterpillar fungus conservation project, and to my own professional development. But this time the CLP management team made an exceptional decision for me by awarding a travel grant to attend an ‘Advanced Field Course in Ecology and Conservation’ in China at the Xishuangbanna Tropical Botanical Garden, Chinese Academy of Sciences. For me, it was a great motivational award to get trained with modern conservation skills and build strong professional networks across Asia. Xishuangbanna Tropical Botanical Garden (XTBG) is situated in Mengla County, Yunnan province of south-west China. It is a recognised research organisation for biodiversity conservation and natural resource management, working to mitigate a range of conservation issues in tropical Asia. XTBG has magnificent tropical rainforest, limestone forest and various man-made ecosystems that provide a natural laboratory for the conservation biologist. The field course in ecology and conservation is conducted by XTBG every year for young conservation professionals to equip them with modern research skills in ecology and conservation. The six-week course ran from 9th October to 20th November. It opened with the participants introducing themselves and exchanging cultural gifts within 36 young conservationists from 14 different countries and 19 instructors. The course was based on very diverse themes like climate change, invasive biology, plant ecology, paleontology, dendrochronology, soil science, animal ecology, statistics and species distribution modelling. 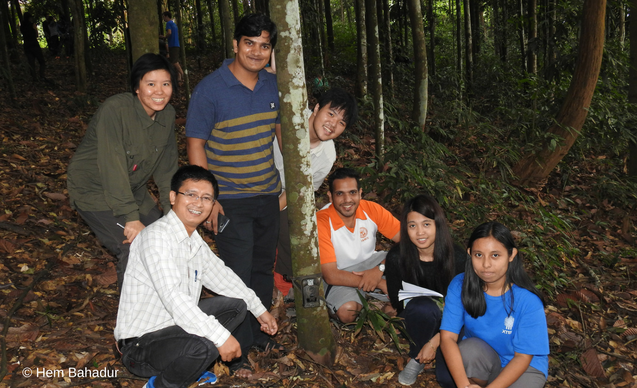 The course was mainly based at XTBG, with excursions organised to different field sites like tropical rainforest, limestone forest and a canopy crane tower in Booben. During the course, I learnt how to use modern techniques like GIS, remote sensing, camera trapping, thermal imaging and drones for conservation and natural resource management. 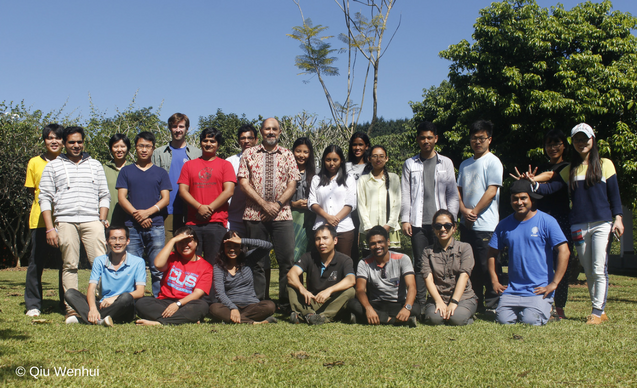 The course also aims to facilitate the formation of conservation networks with peers, improve research capability and build a regional consortium to encourage and educate young conservation biologists in tropical Asia. In addition, the participants were trained in different skills like facilitation, effective communication, presentation preparation and presenting the research work through organising town hall meetings and symposia. The statistical programme R was also introduced for the data analysis throughout the course. The best part of the course was group presentations and an independent project, which provided the opportunity to share innovative ideas, knowledge and build long-lasting understanding. Participants also took part in established long-term field monitoring experiments and gained experience of independent project design. With valuable advice from mentors, participants developed research proposals and conducted field-based data collection and analysis. The course concluded with a symposium, where participants presented the results of their research to peers and instructors. I had an opportunity to present my current work entitled ‘Conserving Ophiocordyceps sinensis in the Nanda Devi Biosphere Reserve, India’ and received valuable comments and suggestions from various professors of XTBG. I was also fortunate to have discussions and benefit from their feedback about my other research projects and my future plans to implement a lot of new innovative ideas in the Himalaya. Apart from the course curriculum, it was also a chance for me to gain first-hand experience of Chinese culture and food. Food is a huge part of Chinese traditions; people eat together and sharing is part of custom. They serve green tea with food instead of drinking water. Although the course schedule was very tight, I often managed to spend some time with friends around the barbecue, enjoying local food, debating different international issues and sharing experiences late into the night. Outside XTBG, language was a significant barrier to communication, but people were very helpful and supportive. It was really a great experience to understand local culture and learn a new eating skill (using chopsticks). For me, one of the biggest achievements from the course is building a strong network with interdisciplinary conservation professionals across Asia. Although we (course participants and instructors) are working in different parts of the world with different expertise, we were able to develop stronger bonds and are now in a much better position to help and support each other in achieving our goals for a sustainable future for Asia. I am really thankful to CLP and XTBG for providing this wonderful opportunity to get trained with modern skills in conservation and connect with brilliant people throughout Asia. The knowledge I acquired and the networks I developed on the course have enhanced my leadership skills and inspired me to pursue other biodiversity conservation initiatives in the Himalaya. 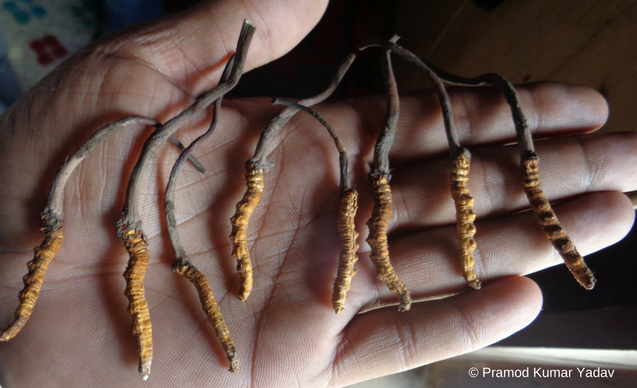 I am now looking forward to future collaborations with professionals in this wider network that will allow knowledge sharing and a more holistic approach to the conservation and sustainable management of caterpillar fungus among Ophiocordyceps range countries (Bhutan, China, India and Nepal). These initiatives would play a key role in alleviating poverty among the local communities, as well as conserving the alpine meadow habitat of caterpillar fungus, which also supports many other threatened species including the snow leopard.